Having plants in the dojang is more than just for decoration. To me it’s a symbol of growth and life. 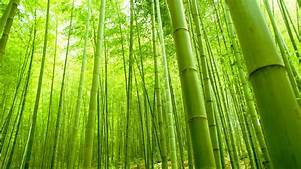 The bamboo plants are one of my favorites. They give a daily reminder to be strong but flexible. With lots of change occurring this week, let’s strive to be flexible in our daily walk. The flexibility allows us to have more peace of mind. Peace of mind leads to growth and a happier life.